Art critics discussed 'Why These Finalists? Part 2' at the ArtPrize Studio at the ArtPrize Hub Tuesday night, October 3, 2017 on 41 Sheldon Boulevard SE in front of a live audience. The Rapidian and GRTV interviewed a variety of audience members after the event to get their reaction to the critics thoughts on the public's and jurors' 3D and time-based choices in the Top 20. 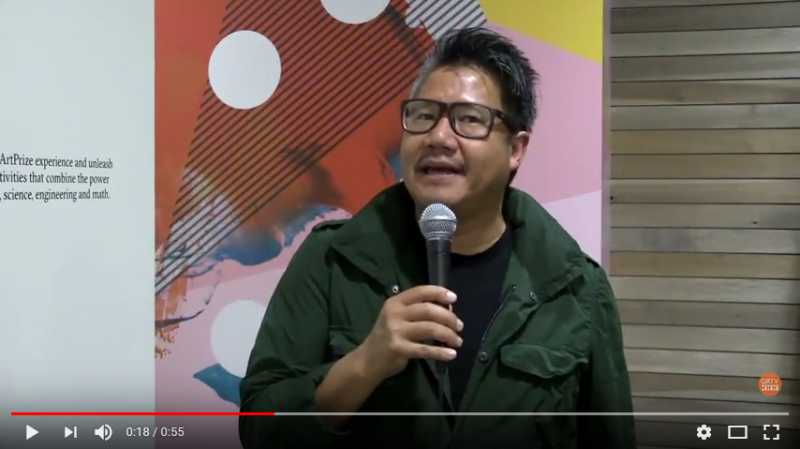 Founder of wHY Architecture and designer of the Grand Rapids Art Museum Yantrasast discusses how he enjoys returning to Grand Rapids for ArtPrize and his thoughts on a couple of the pieces.